This beautiful lifestyle property is located an easy 14km drive from Mudgee. 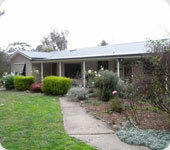 Comprising 16.19 slightly undulating hectares, elevated with fantastic valley views over Mudgee. The homestead is like new with quality fitting throughout. There are 3 large bedrooms, 2 bathrooms the main bathroom has a spa bath, open plan living area plus a formal dining room. The main bedroom has an ensuite, walk in robe with plenty of hanging space and a reverse cycle split system air conditioner. 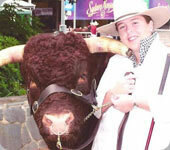 To encourage Junior and Student members, the DCBS of Australia decided to sponsor a young member for the 2008 World Conference and Tour and challenged other Societies to do the same. We are pleased that the UK was able to do this and welcome Richard Stanbury to the World Conference and Tour. Research carried out following Farm Day has found that 90 percent of city respondents now have a better understanding of the role of farming in their daily lives and 98 percent are more likely to buy Australian produce. Farm Day, which took part over the last weekend in May, has grown from a Victorian-only event in 2006 to a national event with more than 1,000 families registering to take part this year. Farm Day involves city-based families being hosted by farming families in a bid to bridge the city-country divide. 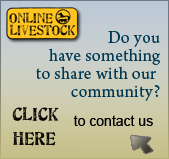 Online Livestock - STUD News! As you may have noticed Online Livestock has been up grading its features and developing new areas for Stud Owners. Our recent introduction has been the Stud Directory. 2006/07 Pedigreed Heifers plus 3 Devon Bulls for $2.20 Kg liveweight. Opportunity of a lifetime, up to 63 HeifersNSM plus 3 Bulls three different Bloodlines. 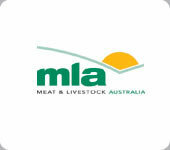 The Devon Cattle Breeders of Australia - Devon cattle have qualities that are of great value to the modern commercial beef industry. There is a mounting awareness of the importance of these qualities and the Devon is well placed to take advantage of the swing back to the superior eating qualities of the British breed cattle. Devons have a broad genetic diversity and a range of maturity patterns that enables them to perform in a wide variety of situations.